Where to start? 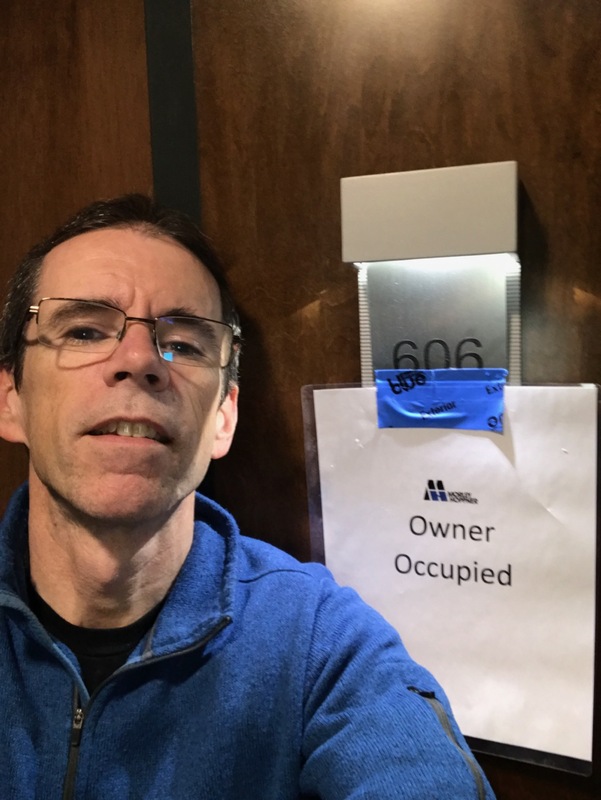 Finally got my condo in December 2016. Could not be happier! 2017 was a really good year on the bike. I got a new Cervelo in October which I have used for most outdoor rides since. I don’t think I’ll be changing again soon but crashes can change that at any time. That’s how I lost my beloved Rca but I try to be careful on my R5d. 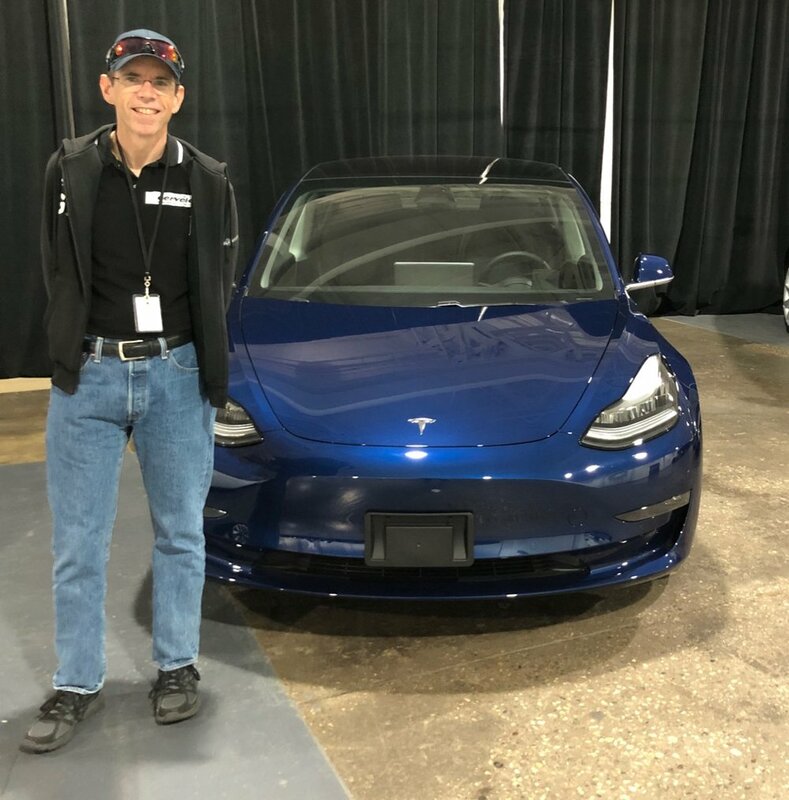 2018 saw the sale of my LEAF and the purchase of a Tesla Model 3. This is truly the best car I have ever owned. It even keeps getting better and better through software updates. There is even supposed to be a free hardware upgrade to the autopilot CPU in the near future! How cool is that? I feel truly fortunate for all that I have including family and health. 2019 has been more difficult which I’ll get into next post but for now I’ll leave you with a view I had last year from my new place during a summer storm. Wow I’ve been so behind in updating this. Sorry about that. I’ll start with updates on my totals on the bile for 2016-18. 2016 Totals on the bike. 2017 Totals on the bike. 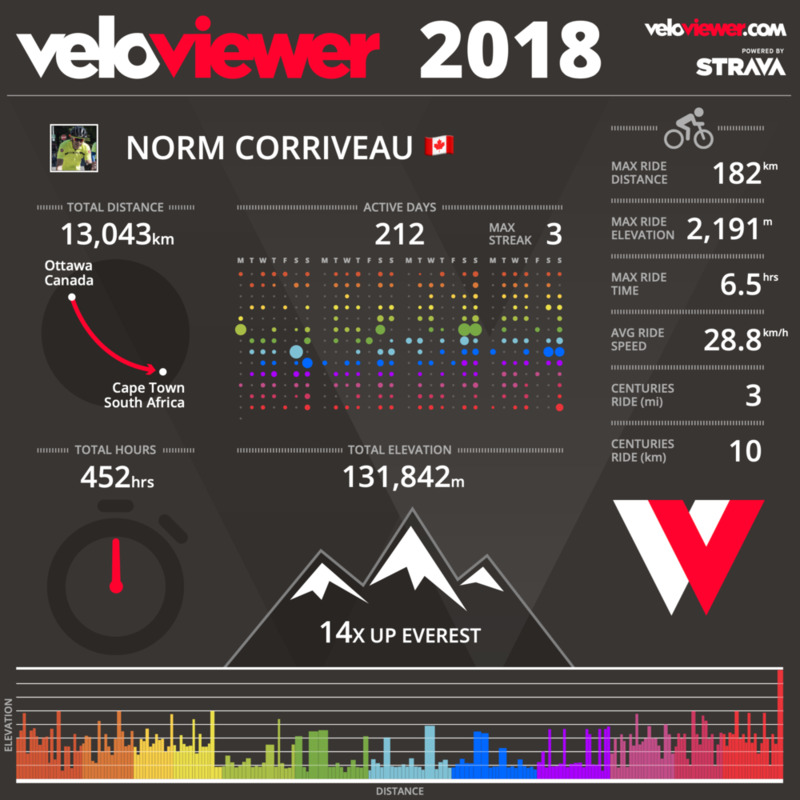 2018 Totals on the bike. As you can see, lots of progress in 2017 but 2018 maintained the same level. Franky, I’m not sure I can do much more than 13k km while I’m still working. Once I’m retired that could change but health will factor into that. I’ll have more personal news soon. I guess I'm a little late in posting this but better late then never, right? 2015 was certainly an interesting year. The biggest news was another crash on the bike. This time it wasn't my fault. There was a couple riding side by side on the bike path close to home. I came around a blind corner (I was doing around 30 km/h) and there she was - on my side of the path. No time to react and down we went. I got off relatively well I guess with one broken finger on my right hand (multiple fractures) as well as a stress fracture in the wrist. So about four weeks off the bike in the height of summer. :-( I also missed the 2015 Ottawa GranFondo as the crash happened three days before! Once I got back on the bike it took a little while to get back in shape but I still managed to beat 2014. So you can see from the graph above where it flatlines (due to the crash) that I think there is room for improvement. So my goal for 2016 was/is 11,000km. I think I'm pretty well on track as I'm right around 7,000 as of today. The other change last year that made a difference is that almost all of my winter riding in late 2015/early 2016 was outside. I got myself a fat bike and rode around in the snow. That has proven to be a lot of fun. The snow makes all the difference since too much and it's a slog but that is rarely an issue around here. I ended up doing about 900km on the fat bike. I hope to do more this winter. The one issue was that I almost always took the bike by car to the starting point since I don't want to ride in the street in winter. That won't be an issue next winter as I'll be living across the street from the start of the bike path. Another thing to note is that my average speed is down for the year as the 900km was done at under 20km/h on average. Not a problem but just with noting. I think I'm actually stronger/faster this year than I have ever been. My average speed for the last 30 days is actually 29.3km/h so pretty happy with that too. It seems to easier keeping up with the fast Bushtukah Tuesday rides as well. I did both the Rideau Lakes Cycle Tour and the Ottawa GranFondo this year and aside from lousy weather for the RLCT (rain on Saturday and wind/cold on Sunday) both rides went very well. We have another long ride in August (MEC Century) and possibly the Perth Cyclosportif in September. We did the Perth ride in 2015 and it was cold so we're still unsure if we'll attempt it this year. So all that's left is the move itself. Closing is December 6th and the condo is supposed to be ready the week before. I won't know the exact date until it's closer. REALLY looking forward to it. My only concerns is if I will find it cramped since I work from home so much and how Stormy will react. That's it for now. I should really try and update this more often. Too busy riding! From a biking trip to Wakefield in 2014. Not what I had hoped but there were two really good reasons. As mentioned, I was sick in February but more importantly I had a crash in early August that kept me off the bike for over three weeks. August is a heavy month so I am confident I would have met my goals had I not crashed. 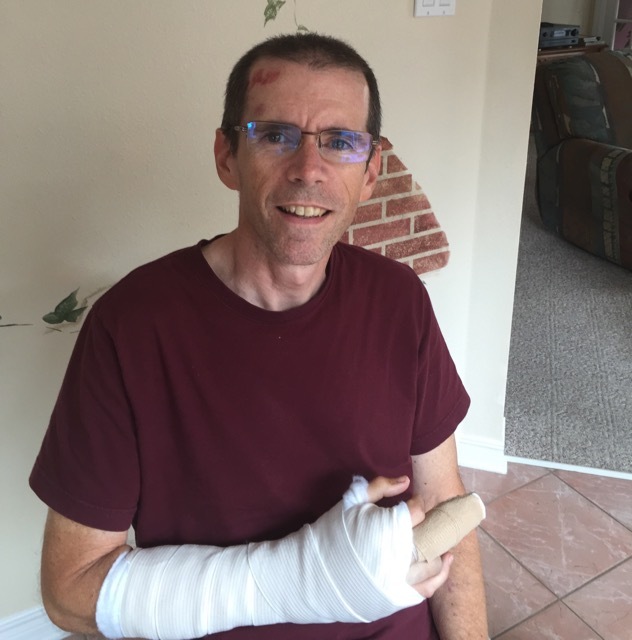 It was a stupid crash where I looked back as I was turning and hit a patch of gravel and down I went with no time to reach out and protect myself. I hit my head and hip. Thank god I had a helmet on since as it was I was dizzy for a couple of hours. More important was the hip. I really couldn't walk after the adrenalin wore off. I was on crutches for a couple of weeks and then limping around for a couple more. Live and learn I guess. Otherwise I'm pretty happy with 2014. I did my first century (the Granfondo) and had a lot of fun riding in groups much more that in the past. I rode with some guys from work quite a bit as well as a LBS (local bike shop) ride once a week once the weather cooperated. I hope to do a lot more of that in 2015. In other news it was pretty much status quo from a personal/work point of view. No new house (still planning that for 2016) and not much new at work. Stormy (my dog) is doing well and hopefully she can remain healthy for 2015. I lost Parker and Peanut at around 11 years and Stormy is 10 so I'm hoping she can be the exception to the rule. Still not sure if and when I'll get another dog. We'll see. My plans for 2015 start with a trip south for scuba diving in late February. I haven't firmed that up yet but I expect to in the next week or two. Beyond that it's all about the riding. I'm actually planning the Rideau Lakes Tour this year. It's a two day ride of Ottawa to Kingston and back in early June. I'll do it with the guys from work so we'll be training as soon as the snow clears. Looking forward to that. I do plan on riding the Ottawa Granfondo again in July. The goal for 2015 is 10,000km like it was for 2014. Barring any sickness or crashes I'm pretty confident I can reach it. I really want to take more pictures of where I ride. My photography has been limited to when I travel south the last few years so I think this would be a great way to get my photography going again. The iPhone 6 camera is pretty great and I've never really spent the time to get familiar with the settings and apps that really make it possible to get fantastic pictures from it. I'd also like to post here a little more often. It's a good way for me to keep track of my progress. All the best for 2015 to everyone. So a little short of the goal but I was sick pretty much all of February. I still expect to meet my goal for the year. Further to that, I did my longest ride ever yesterday. It was an organized ride called the GranFondo Ottawa. It was great riding in a group at speed but it's not something I would do more than once a year. Oh so close to 10,000km. It's pretty obvious that is my goal for 2014. You can see that my average dropped during the last two months but that is to be expected with shorter rides on the trainer indoors. I'm so looking forward to riding outside again. I have videos that help with indoor riding but it still doesn't compare. No cycling trips planned for this winter/spring since we have the family trip to Jamaica in early February to celebrate my 50th. I really want to plan something for early 2015. I want to try Tucson as it appears to have good cycling roads and is not as expensive as other places. If its as good as I hope it may be my regular winter destination going forward. Another goal for 2014 is the Ottawa GranFondo or an equivalent 100 mile ride. It's probably only a psychological barrier for me as I'm sure I could do it physically. 2013 was the year I lost Peanut. I will miss her as I still miss Parker. She had a slow decline so it wasn't a shock like it was with Parker but it is still difficult. I have fond memories of walking the both of them in the parks around Kanata. Fortunately I still have Stormy to keep me company. It's interesting to see how all three have had such different personalities. Stormy is so shy with strangers but probably more affectionate with me than either Peanut or Parker. I have no plans to get a second dog right now especially with the move coming. I have bought a condo at 2 The Parkway but it won't be ready until 2016. But that does lead to another couple of goals for 2014 - save my money and get rid of as much "junk" as possible. I've stopped my camera gear purchasing and I want to keep my bike for at least a few years so that will help with reducing the spending. I did a cleanup in the basement last summer but it's already starting to pile up again! I have to work on that again. Work was pretty much status quo in 2013 and I don't expect too much change in 2014. I will be getting a new boss soon however and that could make things interesting. We'll see. The LEAF I bought in December 2011 continues to be very fun to drive. It cost even less to maintain in 2013 than 2012 as I drove less and the dealer charged less for the annual maintenance for some reason. I did bring this up during my condo purchase but I still have concerns about the electric hookup once I move. Since it's a brand new building and by the time it's ready I expect I won't be the only electric car owner it really shouldn't be an issue. All in all I consider myself very fortunate for the life I had during 2013 and I'm expecting even better for 2014. All the best to everyone for your 2014. It's been a good year for cycling. As you can see I increased my Avg Distance by making my default ride after work a little longer. Interestingly I didn't lose as much weight this summer as the last two years. That's OK with me as long as I don't gain too much this winter. We'll see. As is my custom, I'm recording my mileage and setting a goal for the new year. I also exceeded the mileage I did in my car again this year - about 5,800km. Of course this year that was all in an electric car (my LEAF) but it still makes me smile that I have more km's on my bike under my own power than sitting on my rear in a car. I still LOVE my LEAF but no car will compare to a bicycle (for me anyway). I have found it hard to get much mileage done in December on my trainer but I'm planning on changing that now that the holidays are over. My goal is to be in better shape once I do get outside than last year. It took a while before I could do the longer distance rides that I enjoy. Last year my first ride outside was actually March 11th and with the amount of snow we have this year that will be hard to beat. Ideally I would like to do several trips to Gatineau Park this year before it opens to cars. I never got to do that last year due to my lack of fitness. We'll see how this year goes. As for a goal for 2013 - that's a tough one. Of course the weather will be a factor (last year was fantastic). I actually think that I really can't plan for too much more unless circumstances change - if I got laid off for example. So that all said I think I'll set it at 8,500km. If I get more trainer km's in than last year and the weather cooperates then it should certainly be achievable. One other goal for this year is to spend less and save more. I went kind of overboard last year on biking stuff and camera equipment. I have no trips planned for this year but I do for 2014 (my 50th birthday bash) so saving up is mandatory. I added a gallery to my photos. It's a bunch of butterflies from a farm in Quebec that is near my sister's place. It's a lot of fun for a photographer. I think my goal for the year of 7,500km is still achievable. If the weather holds out and I don't get sick again (missed a week and a half with a bad cold already) then I should make it.